Knowing God is understanding God. The God that we worship, the author of our salvation, the God of creation, has always desired that we know of Him and understand Him. The many attributes of God that are revealed in His Word define His character. These attributes are many and they are the defining measure of all good things. They are the standard of perfection that we as Christians are called on to aspire to. They are multi-faceted, they are intertwined, they are complementary and they are complex. These very same attributes are the attributes of our Lord and Savior, Jesus Christ. These are the very same attributes that we are called on to reflect when we seek to reflect Christ in our lives. Paul in 2 Corinthians 3:18 tells us “And we all, with unveiled face, beholding the glory of the Lord, are being transformed into the same image from one degree of glory to another.” So understanding the attributes of God guides us in our daily walk. 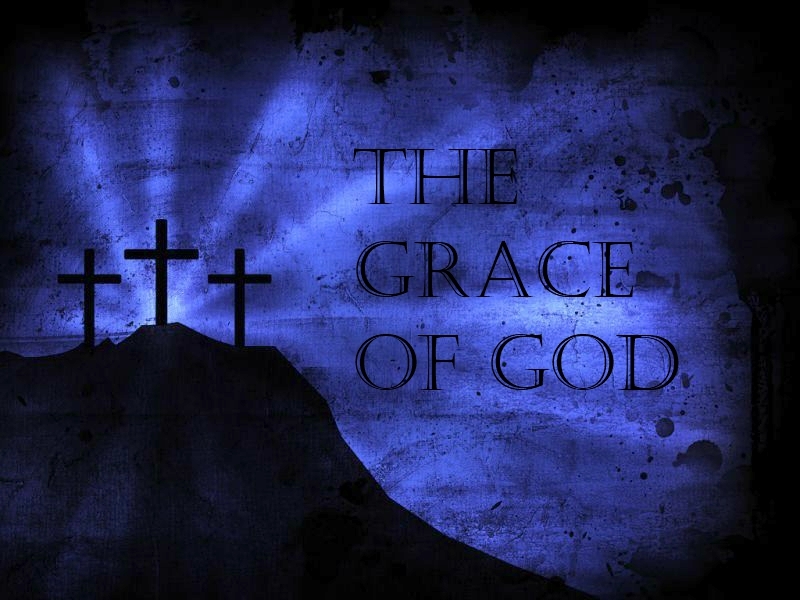 Grace is a defining attribute in the character of God and a defining doctrine in God’s plan for our salvation. It is what our salvation rests on. So often God’s grace is reduced to being defined as God’s unmerited favor. Grace is that, however, grace is so much more. Christianity cannot be understood apart from an adequate grasp of His grace. This doctrine of grace is a distinguishing feature of the Christian faith. A proper understanding of the doctrine of grace can enrich and drive a Christian’s faith. Grace is not only an attribute of God, but the essential attribute in His plan of salvation for a fallen world. We can understand on one level that God has extended His unmerited grace to us, but, we need to understand why and for what purpose. Defining grace as unmerited favor makes us understand the extent of God’s love for us. We easily understand that a God who so loved the world that He gave His only begotten Son is a God who deeply wants us to walk and dwell with Him eternally. We understand that this sacrifice of His Son is magnified because we have done nothing to deserve such love and such grace. We understand that not only do we not deserve this grace but our God has offered this grace to a world that is at war with Him. The “why” and “for what purpose” is somewhat overlooked in this short version of God’s grace. When God created the heavens and the earth and all things that are upon the earth He was very pleased. Genesis tells us “God saw that the light was good. And God separated the light from the darkness.” (verse 4). He then “called the dry land Earth, and the waters that were gathered together he called Seas. And God saw that it was good.” (verse 10). “The earth brought forth vegetation, plants yielding seed according to their own kinds, and trees bearing fruit in which is their seed, each according to its kind. And God saw that it was good.” (verse 12). “And God made the two great lights—the greater light to rule the day and the lesser light to rule the night—and the stars. And God set them in the expanse of the heavens to give light on the earth, to rule over the day and over the night, and to separate the light from the darkness. And God saw that it was good.” (verses 16-18). God was pleased with His creation and He saw that it was good. But He was not done. “So God created the great sea creatures and every living creature that moves, with which the waters swarm, according to their kinds, and every winged bird according to its kind. And God saw that it was good.” (verse 21). “And God made the beasts of the earth according to their kinds and the livestock according to their kinds, and everything that creeps on the ground according to its kind. And God saw that it was good.” (verse 25). When God created man in His own image He looked and said, “It was very good”. God rejoiced in His work. He was glad in what He had done. God from the time of creation has always desired to dwell with His creation. Then came the fall. Because He is a God of Love He had communed with Adam and Eve in the garden. However, because He is also a Righteous God, absolutely pure and just, He could no longer dwell with man after the fall unless man’s sin was reconciled. Separation from sin is necessary for fellowship with God. God had a plan for this reconciliation. God had a plan “to unite all things in him, things in heaven and things on earth.” (Ephesians 1:10). “In him we have obtained an inheritance, having been predestined according to the purpose of him who works all things according to the counsel of his will, so that we who were the first to hope in Christ might be to the praise of his glory.” (Ephesians 1:5-12). Grace is an attribute of a loving and holy God. Grace is the answer God had for a fallen creation. We are all sinners, ever last one of us. “But because of his great love for us, God, who is rich in mercy, made us alive with Christ even when we were dead in transgressions—it is by grace [we] have been saved.” Amen! ← If we are faithless, he remains faithful— for he cannot deny himself.